First I watched a few tutorials on YouTube. Here is a great one if you want to watch the technique! ----> Click here!! Then I took to pinterest for some ideas and ran across one that I thought I would try to attempt. Can you tell I was going for chocolates? 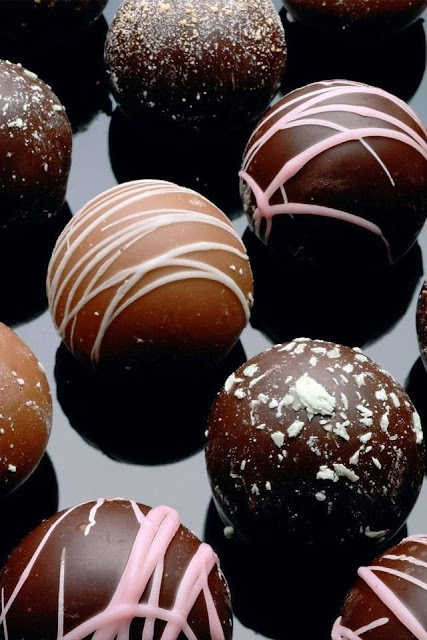 :) Perfect for Valentine's Day coming up don't you think? Ok ladies!! Here we goooooo. 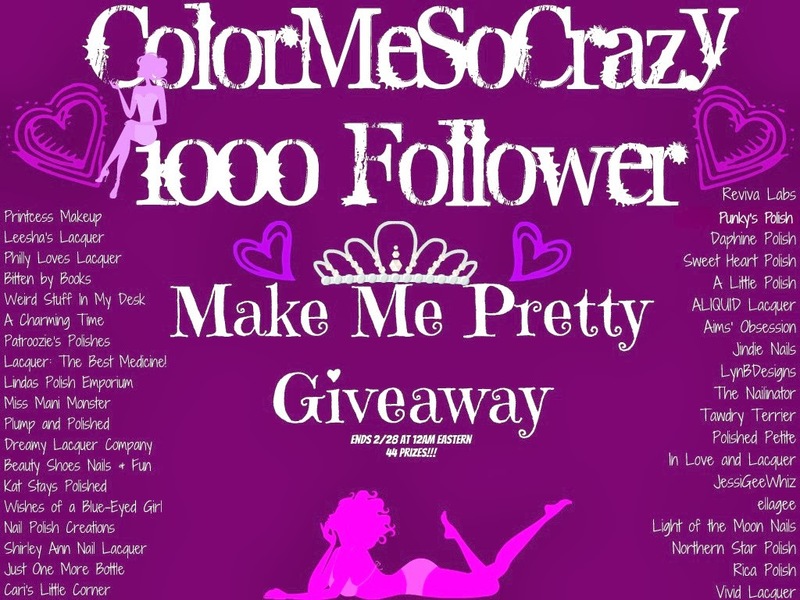 Colormesocrazy has hit 1000 blog followers lately and she is celebrating!! She has 38 wonderful ladies working with her to give you some of the HOTTEST prizes out there!! (Including one from yours truly!!!) Ok, so without further ado, your sponsors AND PRIZES!! See the Terms in each Rafflecopter for all the rules!! 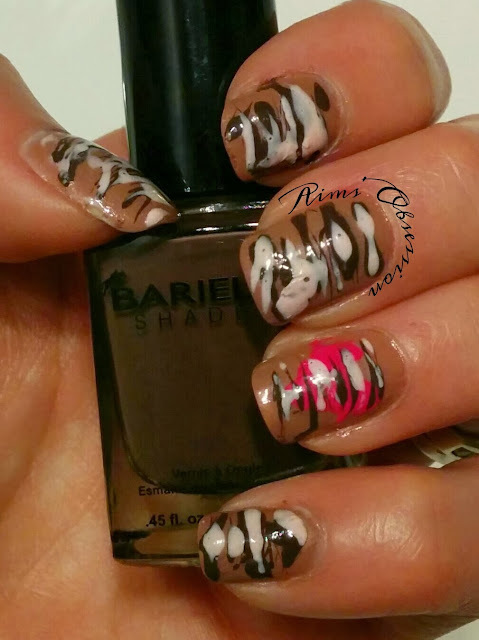 As some of you know from previous posts, I am in a group on Facebook called Nail Art Designs ran by my lovely friend Nadia. She let me pick out the theme for last week and I picked movie inspired nails. It was really cool to see what everyone came up with! You should go check out the group and join. You don't have to be amazing at nail art (I am by far not the best nail art person). Everyone is very supportive of other members. It is a fabulous group. I loved watching Disney movies when I was growing up (still do actually. . . ask my husband!) 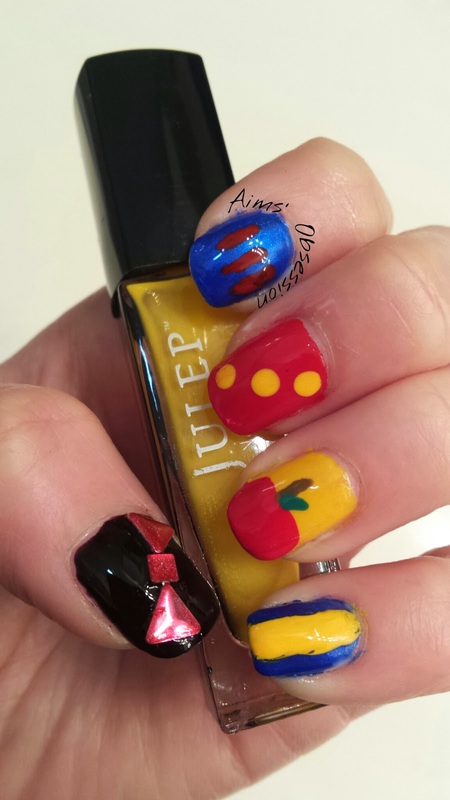 So naturally I picked a character out of a Disney movie to theme my movie mani after. I went to pinterest for inspiration and found a beautiful post from LacqLustre and I give her all the credit behind my mani since I pulled much of my inspiration from hers with just a little twist. Click ===> HERE to see her original post. Here is my version! I hope you like it and I hope it inspires you to go check out the nail art group and try some of the challenges!! 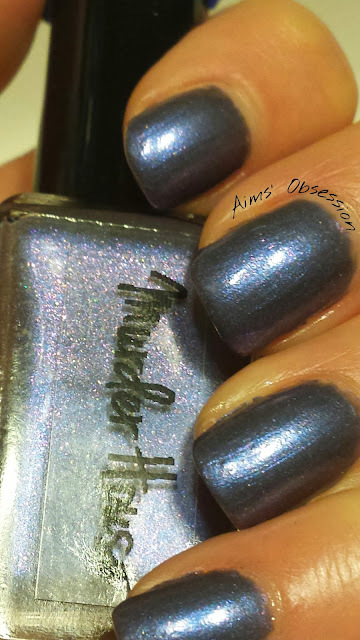 Murder House is a gorgeous blue (I would describe it as a midnight blue) with micro red glitters mixed in. The formula for this polish has really impressed me. 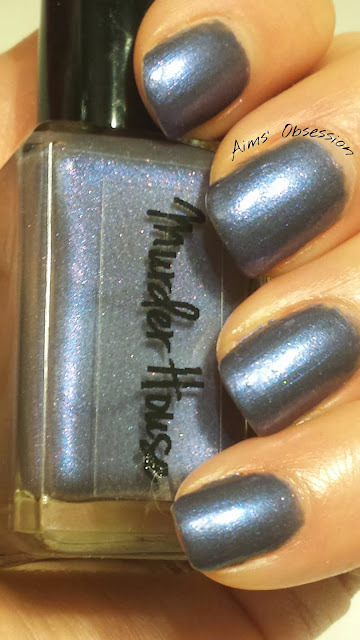 I polished my nails with Murder House on Monday and due to the sun not coming out most of the week and me being very hopeful that it would show itself eventually, I kept my nails polished with it through today. No chips so far, which is fabulous. I used two coats of polish for this review. 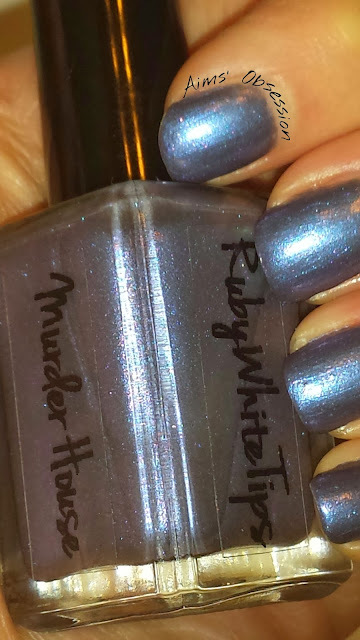 I was expecting Murder House to be thicker than it actually was, because my namesake polish from Ruby White Tips was a little thick (although still applied great). I was pleasantly surprised to find that Murder House was the perfect thickness. This is another one that you could probably get away with using only one coat of polish. The name Murder House is from the first Season of American Horror Story, where a seemingly gorgeous and normal house has a hidden mysterious past, which starts to effect the new residents. I won't go too far into the plot, because I really recommend that you watch the show unfold for yourself. Much like I recommend getting your hands on this beautiful polish, which at first glance looks like a pretty blue. Then in the right lighting or angle you see the magnificent micro red glitters. Do you see them? They certainly were tricky for me to capture in this cloudy winter weather we've been having. 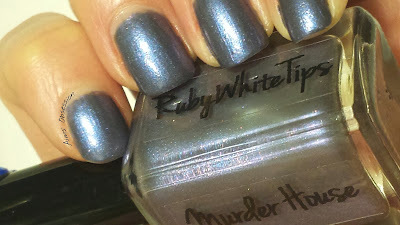 Murder House, along with the other Ruby White Tips American Horror Story line will be available online this Sunday to purchase from the Ruby White Tips Etsy shop. I am literally sitting on the edge of my seat here in suspense! !